This large 16 x 20 art print features original artwork by Rifle Paper Co's Anna Bond. 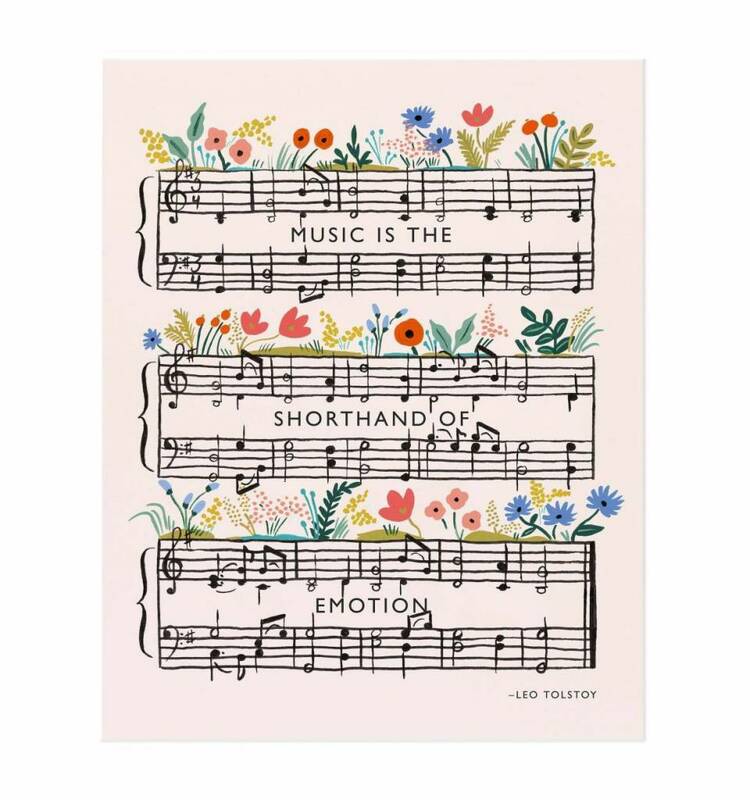 This print features quote by Leo Tolstoy, "Music is the Shorthand of Emotion." 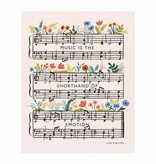 Alongside of the quote are musical staffs decorated with lovely illustrative flowers.